This handsome display unit sits well on a showroom top, offering customers an at-a-glance reference of our five most popular wood species. 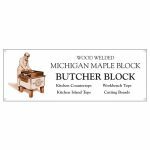 The one-piece tray itself is crafted of 3″ thick butcher block with a chamfer edge. 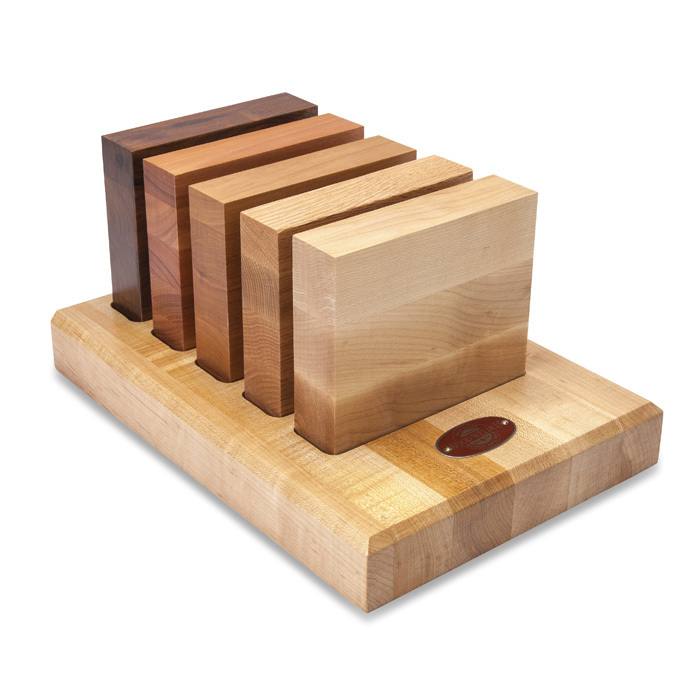 Routed slots hold each of the 6″ x 6″ sample blocks in place. 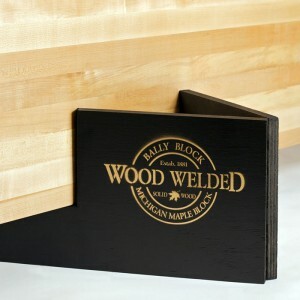 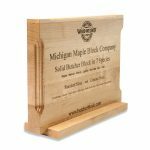 Logo nameplate lets customers know they’ve specified the original Wood Welded Butcher Block. 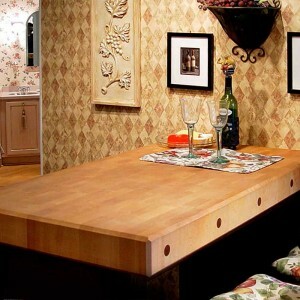 Also available as a six species and seven species unit that includes teak.